Conductivity, Resistivity, TDS, Salinity, DO Temperature modes. 1 point conductivity calibration for the entire range. Multiple Printout types. Combinations selectable from Sr. 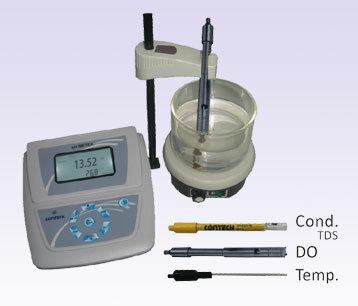 No., Conductivity, TDS, Salinity, DO, Date, time and temperature. 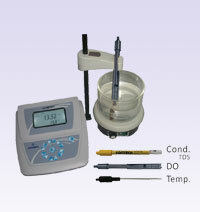 Temperature calibration with respect to solution of known temperature.